Blackberries are my all-time favorite. There is nothing better than a plump juicy berry. 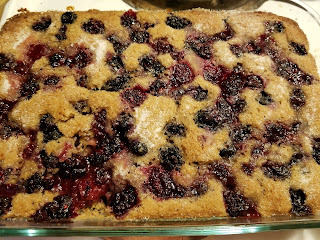 Ice cream, cobble, pie, cake, all of the blackberry things (except the phone- haha). In this one, I used a combo of blackberries, blueberries and raspberries, because I was too anxious to wait to get more blackberries. This would be fantastic with some coconut milk ice cream!! Notes: I have not tried this with any other flour or milk. You could use grapeseed oil, if you want. Whiz your xylitol up in the blender for best results. Mix the dry ingredients together, then add liquids. Batter will be thin. Pour into greased 9" baking dish or cast iron skillet. 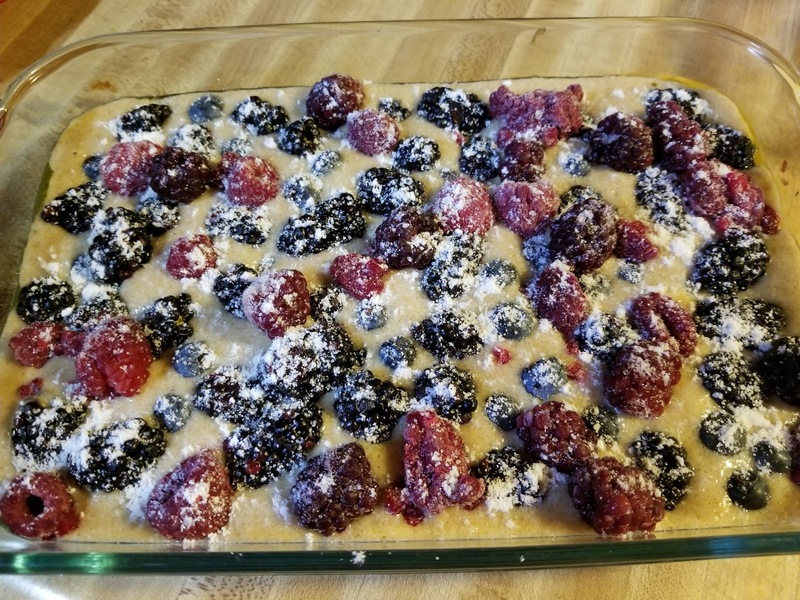 Spread the berries on top and top them with the 1/4 cup xylitol. Put baking dish in the oven and lower temp to 350. Bake 50 - 60 minutes, until the cobbler is done. 8 full standard grain and partial fat, partial fruit servings in the whole recipe. Yum! My husband will love this too! do you think i can make this with fresh peaches? live in Jersey and just bought a bunch locally grown!